Our First Gathering of this California Honey in 5 Years! This wild species blooms from February through June along the hilltops of the California Coastal Ranges. This gathering is from Monterey County. Little buttons of flowers on the tall stems give the plant its common name. Yet this bloom does not occur annually, so the bees produce this honey every few years. There must be the right mix of weather…good spring rains followed by a cool, dry spell in order for the wild salvia to flower and provide nectar for the waiting honeybees. Last year was the first time we have been able to find enough of this single floral honey since 2011! 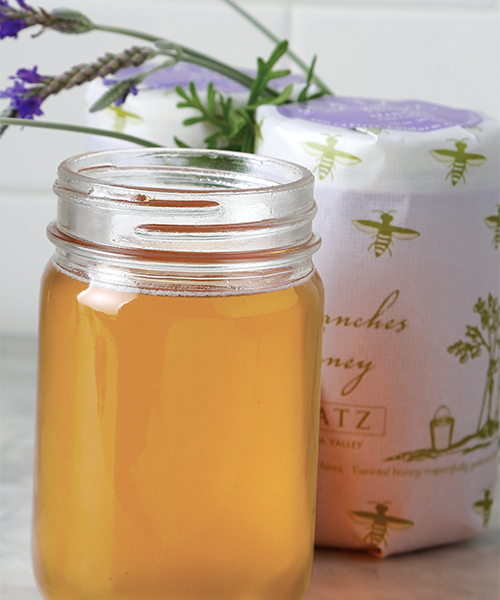 The California drought and climate change continue to make future gatherings challenging at best, but for now we are thrilled to offer KATZ Black Button Sage Honey. COOL FACT…Black Button Sage is a miracle of nature, as the nectar of this flower does not granulate like nearly every other floral source, even in the coldest of winters.